Want a natural way to soothe your mind from stress? Currently, anxiety issues affect more than 28 million Americans with physical and emotional manifestations. This negatively alters your serotonin levels and the emotional outcomes may include irritability, inability to relax, depression, anger, guilt, weight gain, and feelings of emptiness. 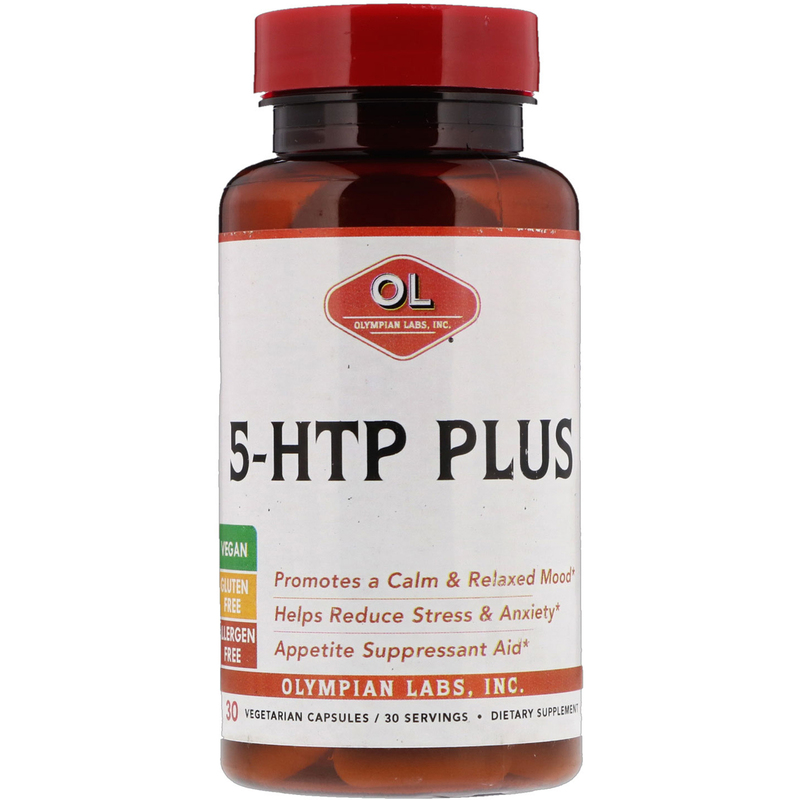 5-HTP (5-Hyproxytryptophan) is a drug-free and naturally occurring plant-derived amino acid that aid in the bodys fusion of serotonin. 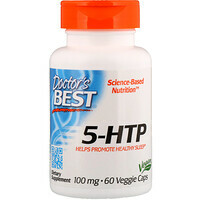 5-HTP works in the brain and central nervous system and is the direct precursor to increasing serotonin production. Serotonin is the chemical messenger that plays a key role in controlling appetite, sleeplessness, and an enhanced mood. In addition to 5-HTP, Olympian Labs 5-HTP Plus contains Valerian Root (Valeriana officinalis), which has a relaxing effect on the nervous system and promotes relaxation in individuals with a high level of stress. 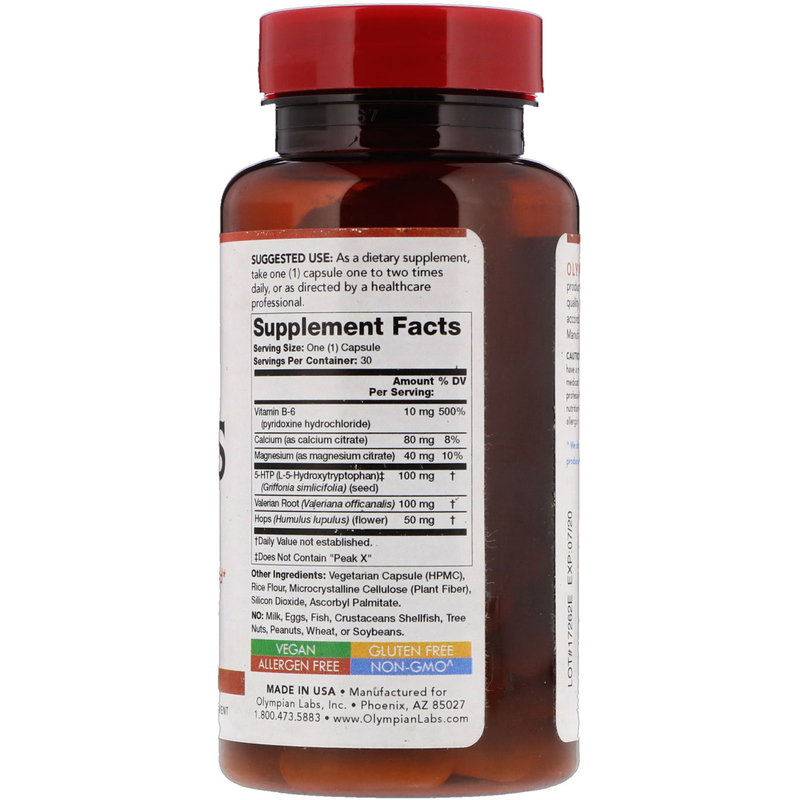 As a dietary supplement, take one (1) capsule one to two times daily, or as directed by a healthcare professional. No milk, eggs, fish, crustacean shellfish, tree nuts, peanuts, wheat, or soybeans. Caution: If you are pregnant or nursing, have a medical condition, or are taking medication, consult your healthcare professional before using this or any other nutritional supplement. Discontinue use if allergic reactions occur. ‡Does Not Contain "Peak X"